Cebu, Philippines - Cebu Government officials appeal to the public to help them clean the oil spill brought by the sunken ship MV St. Thomas Aquinas in collision with Sulpicio Express Siete. 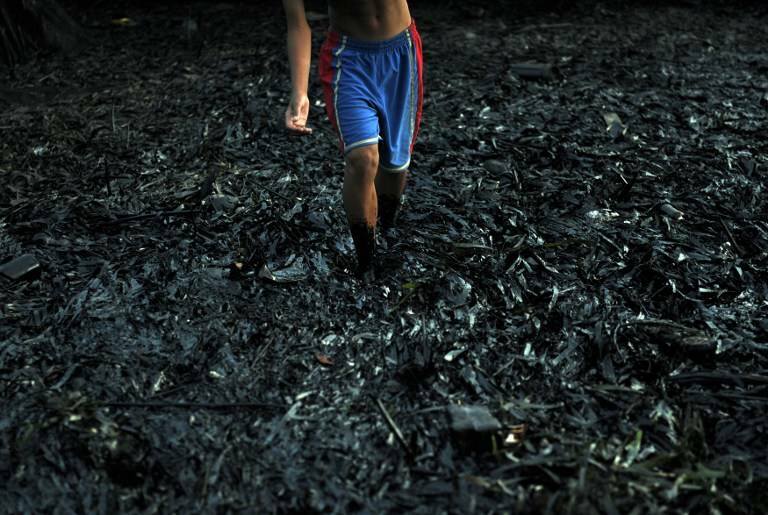 Government use the social networking website to tell the people to donate materials in containing the oil spill. In a facebook post by "Cebu Provincial Government"
We appeal to the public to help us gather indigenous materials such as coconut husks, saw dusts, chicken feathers, cogon grass and even used clothing. These will absorb the oil and make it easier to collect. direct to Cordova Municipal Hall.